Westfield directly employs more than 4,200 employees globally across its shopping centres, construction sites and corporate offices. More than ten years ago Westfield recognised the need for a more structured approach to leadership development across the business. Improving leadership capability and skills was identified as a specific goal to encourage individual and business performance and provide people with the necessary skills to meet future business challenges. A leadership model was subsequently developed and this has created a "pipeline" of skilled leaders and potential future managers ready to make the transition into senior leadership roles. The Group has a strong commitment to diversity and seeks to promote an inclusive culture where people are encouraged to succeed to the best of their ability. In recent years Westfield has committed to a number of measurable objectives on a global and country-specific basis. Westfield believes that diversity is about recognising and valuing the contribution of people from different backgrounds, with different perspectives and experiences. Diversity includes but is not limited to gender, age, disability, ethnicity, religion and cultural background and in the United States the Group's policy extends to veterans. Across the Group and within each market there is a relatively even split between the number of men and women directly employed. 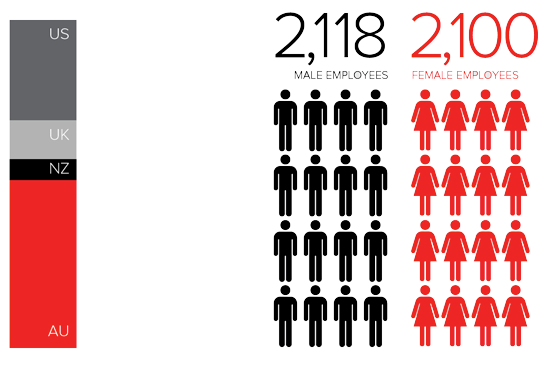 Total number of men directly employed (2,118) and total number of women directly employed (2,100) both represent 50% of total direct employees. 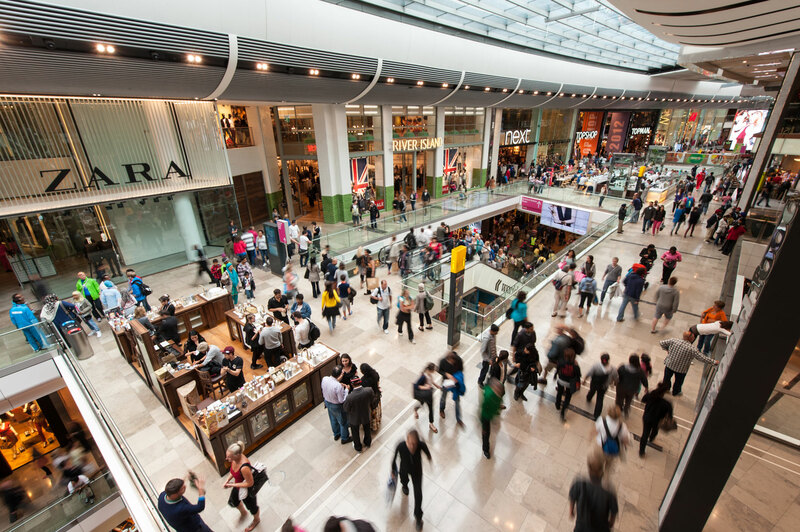 Westfield also engages a large number of independent contractors in the construction division and in the ongoing provision of cleaning and security services at shopping centres. The Group has a number of initiatives to minimise turnover including shorter and longer-term succession planning, which are integrated into the key performance indicators of management to try and ensure the retention of high potential talent. Other initiatives to maximise retention include focus on training and development, recruitment practices and induction processes. In terms of global measurement objectives the initial emphasis of the Group continues to be on gender diversity with a primary goal being to strengthen the representation of female executives in senior management positions.